GN Solids Control manufactures various pumps, such as centrifugal pumps, displacement positive pumps (also called screw pumps) and submersible pumps. All these pumps can be used to pump mud effectively. 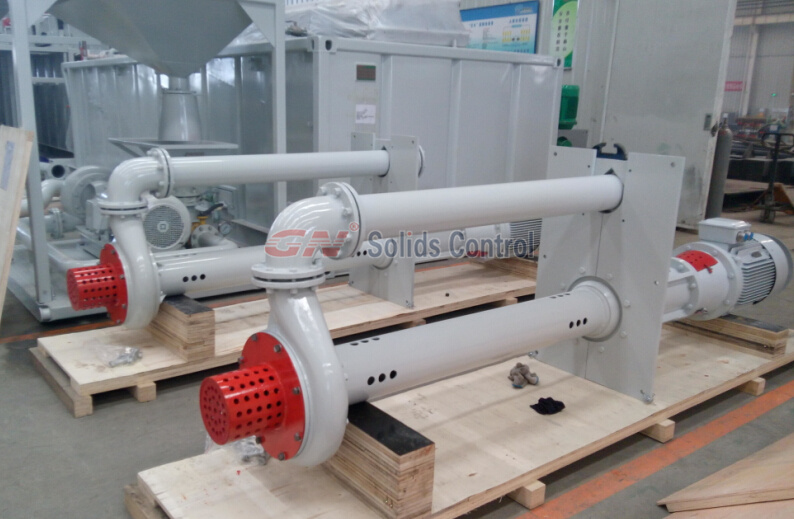 During the past 2015, GN Solids Control has provided many pumps to the global world. GN Solids America LLC also delivered some centrifugal pumps and screw pumps to USA clients and Canada clients. Centrifugal pumps are widely used when transfer mud. Many centrifugal pumps are used to pump GN hydro-cyclones which are assembled on GN mud cleaner. GN centrifugal pumps are replacement pumps for Mission pump. 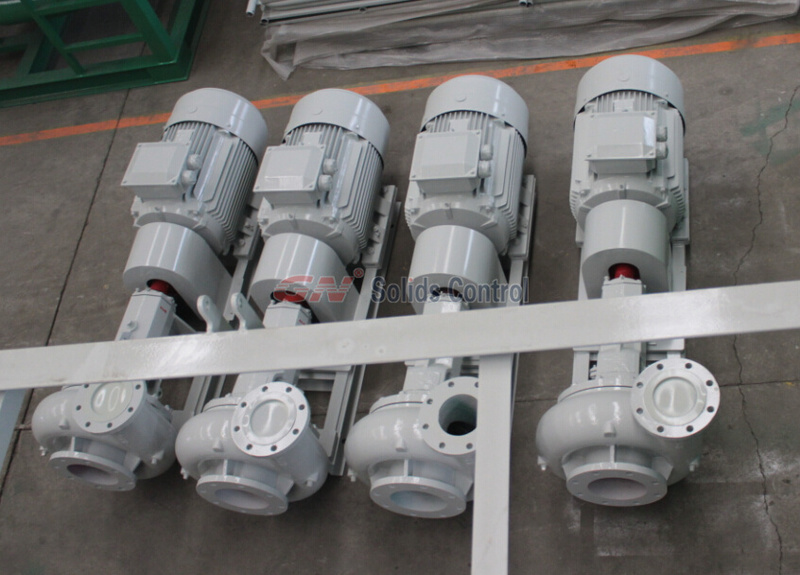 As GN No.2 factory will start manufacture soon, more centrifugal pumps will be provided in the new year. GN screw pumps are mainly used to feeding decanter centrifuge or flushing cuttings dryer. Screw pump is also called positive displacement pump, which has a very good characteristic that transfer mud or slurry without mud agitating. While for the centrifugal pump, the impeller will provide a large centrifugal force to pump mud and case heavy agitating. Submersible pump is used to pump slurry with large size solids. GN submersible pumps are mainly used to feeding HDD mud recycling system. Although they’re also used in feeding decanter centrifuge, when it meets large height difference, GN PMP pumps are usually the first choice. However, the price of submersible pump is pretty lower when comparing with GN screw pump. Besides those above pumps, GN Solids Control also manufactures electrical control box. All GN control boxes can be used in the oil and gas area which needs to be explosion-proof. GN control box meets the Class I, Division I or Division II standard for various usages. Now GN also manufactures VFD control panel for decanter centrifuge and cuttings dryer. All the running parameters can be adjusted easily on the control panel. When using GN VFD control box, a air compressor need to be equipped in order to provide high pressure air into the control box: one is to cool down the inside temperature, the other is for anti explosion.